The shooting of the new Indian movie, Race 3 is going to start with the new cast. This movie is the second sequel of the most successful movie, Race, which was released in 2008. This movie was released in 2008 and in this movie, Saif Ali Khan performed the leading role. When this movie got the success on the box office, then the sequel of this movie was also made in which Saif Ali Khan also performed the main roles. 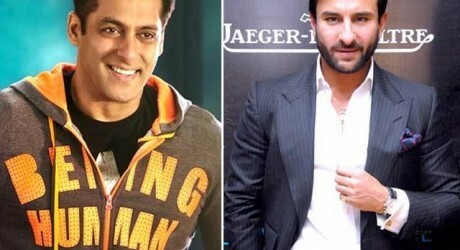 The success of these two movies supported Saif Ali Khan, who was facing problem in his career. These movies have done the business of over 100 crore rupees. Now Saif Ali Khan was celebrating his 47th birthday with his wife, Kareena and rest of the family members. Then he received the news that Salman Khan will perform the leading role in this movie, Race 3, which is the second sequel of this blockbuster movie. Salman Khan was busy in the shooting of the movie, ‘Tiger Zinda Hai’ and he moved forward the dates of the shooting of this movie so that they can start the shooting of the new movie, ‘Race 3’. Jacqueline Fernandez will perform the role with Salman Khan in this movie. Salman demanded that Remo DeSouza will be the director of the movie and the administration accepted his demand and now Salman Khan will work with his favorite director. Salman Khan has already performed in his movie, ‘Tubelight’, which was proved to be a failure. Now he is going to save his career and he signed the second sequel of movie, Race so that he can get popularity once again.